Before it becomes a favorite place it's a place you've never been... Here is what we have discovered! Amazing things happen in amazing office spaces – and we’ve got proof. Hobby.denkwerk welcomed us for a playful check-in at their collaborative space, the brand-new Hamburg branch of Germany's most creative digital agency "Denkwerk". Located at Neuer Pferdemarkt, the office is located just around the corner of trendy Sternschanze, one of Hamburg's No. 1 neighborhoods for bar hopping and alternative shopping. 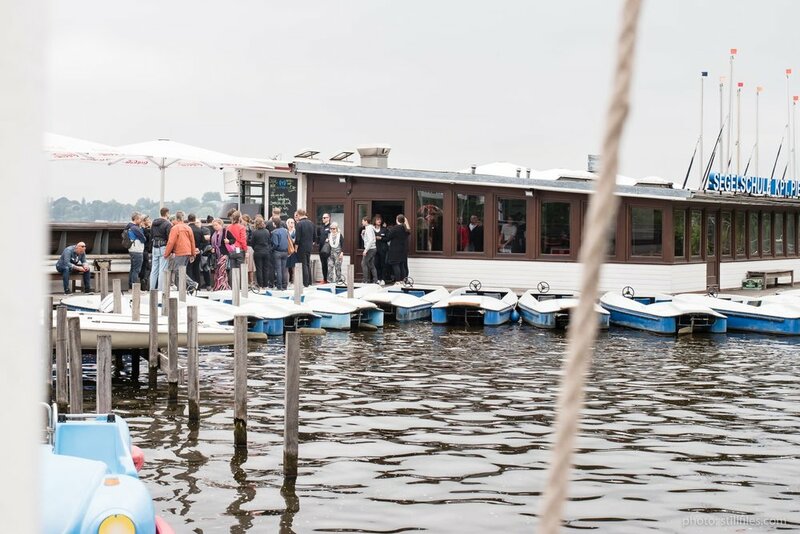 They can handle 15 Swedish-German blind dates in pedalos at one time: A big cheer for Segelschule Pieper for letting us drift on the Alster, Hamburg's 106-hectare city lake, while getting to know each other, enjoying the views as well as greeting all those swans and ducks. What a perfect setting for a happy blind date! It's magic, even if you have learned how it's done: By using optically tagged LEGO bricks, algorithms, and augmented reality on a table with a map of Hamburg the CityScience Lab explained to us how it has helped citizens to identify accommodation for thousands of refugees. 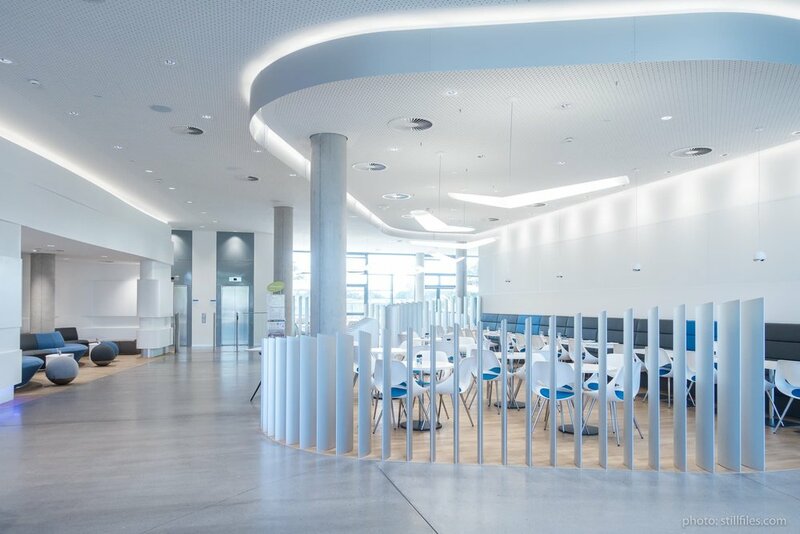 The project called "Finding Places", a collaboration with the MIT Media Lab, was developed at the city's youngest public university, located at a district named HafenCity - another one of Hamburg's famous urban planning projects. In Hamburg containers are not only used for shipping. They are also a space where ideas and partnerships are born. 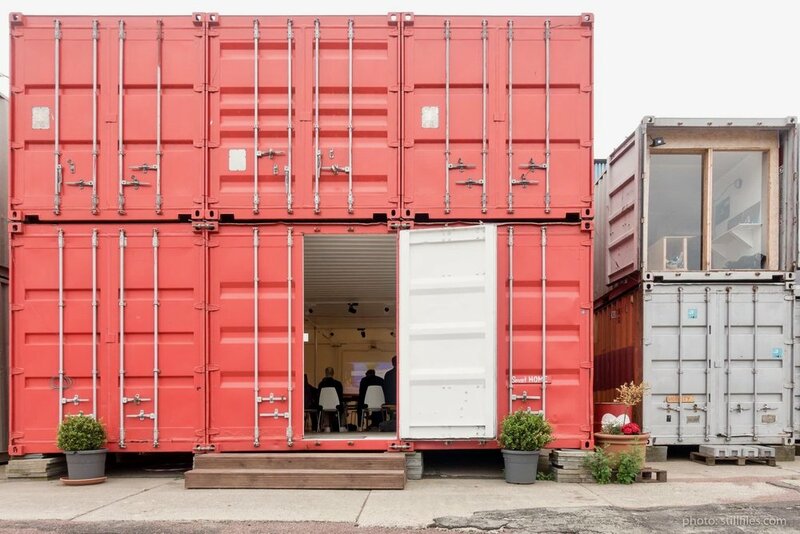 In a couple of large steel boxes surrounded by water, right at the edge of the ever evolving HafenCity, MLOVE is bringing together promising startups, companies and thinkers from different industry sectors. Thank you, MLOVE, for also hosting a great 040x040 session by NÜWIEL's Natalia Tomiyama inside one of those beautiful boxes! Where Hamburg tastes best: Apart from offering haute-cuisine cooking classes Nil No. 6 serves private parties one of the finest food you can get in the neighborhood of Hamburg's Schanzenviertel. We thought: delicious - or, "lecker" and "jättegott"! How do you produce an opus when daily routine holds back your creativity? You can take a nap, a walk ... or you create a special space to hang out with your colleagues in order to play on personal pet projects for a while. At least this is what Peter Schmidt Group's Lab 72 is all about. 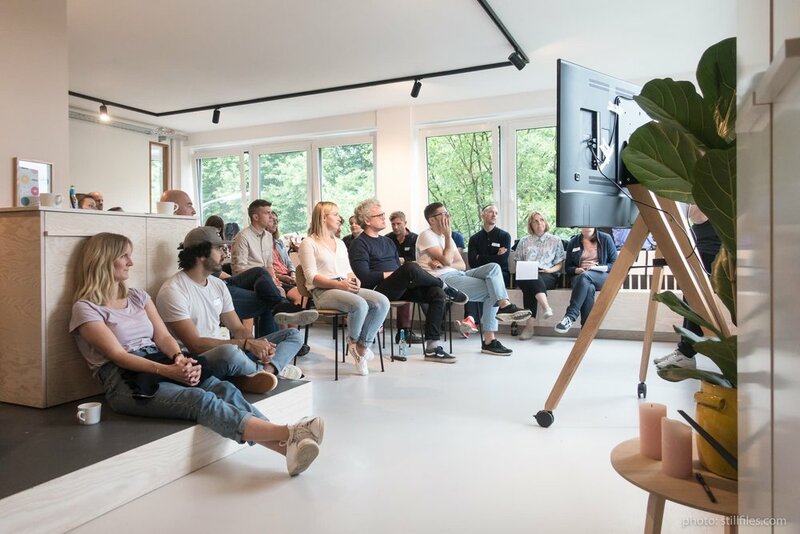 While one of Germany's most renowned design agencies told us how its staff stays motivated, we were in total awe: Their office high above the ground offers sweeping views over Elbe, harbour and St. Pauli... What more do you need for a creative break? The city's futuristic concert hall is barely one-and-a-half-year old but already attracts more visitors than 150-year-old Neuschwanstein Castle down in Bavaria. At Hambug's own castle of glass tickets are sold out for six months. But we were lucky enough to get an architectural tour and listen exclusively to the Malmö SymfoniOrkester's sound check before it went on stage the same night.